Barnard’s Crossing, Massachusetts, is thriving. Every year, more young couples move to this cozy New England village to raise their families, and many of them join Rabbi David Small’s synagogue. But the town is jolted out of domestic tranquility when Ellsworth Jordon, the town selectman, is murdered. An outspoken anti-Semite, and one of the town’s richest and most powerful men, it seems like everyone had a reason to dislike Jordan. When he’s murdered, not even the rabbi is surprised. 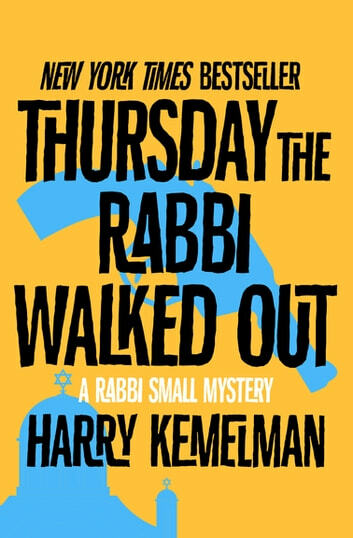 Police suspicion falls on several upstanding members of the synagogue, so Rabbi Small endeavors to clear them the way only he can—with God at his back and the Talmud in hand. Surprises lurk at every turn as the rabbi narrows down the long list of suspects to find the killer.